This post is part of a partnership with Luxardo! To learn more about the Luxardo range of Italian liqueurs, visit HotalingandCo.com. After our recent trip to Italy, Sean and I have been spending a lot of energy trying to recreate all the food, drinks, and pasta we had in the cities we visited. 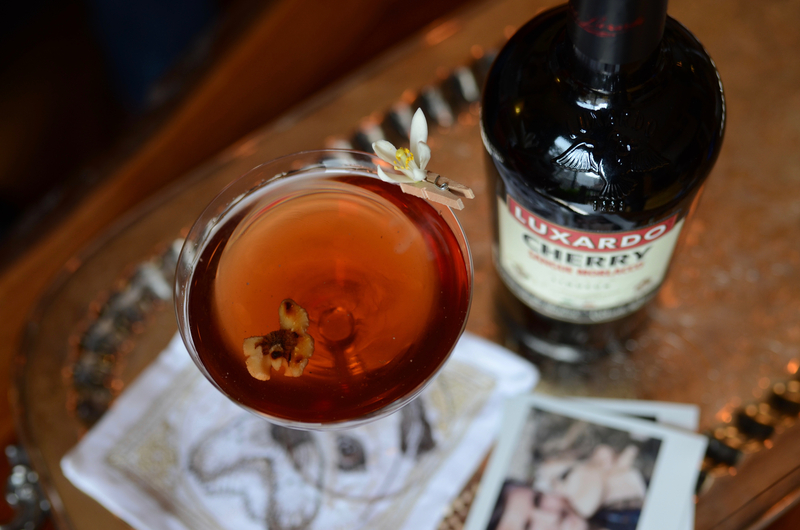 This Valentine’s Day we wanted to celebrate with something lovely and Italian, so it was a nice surprise when the folks at Luxardo reached out asking me to create a cocktail with Luxardo Cherry Sangue Morlacco. FYI, Luxardo’s cherries are a sour cherry variety exclusively cultivated by the Luxardo family since 1821. Using my favorite book, The Flavor Bible, I looked for some ingredients that paired well with the sweet liqueur, but also fit the flavor profile of a drink for Valentine’s Day. I settled on chocolate, brandy, and toasted walnuts. Nuts are a really unique and simple way to add a bit more complexity to cocktails and walnuts are some of my favorites. I love this cocktail because it takes us back to Italy and especially all the wandering walks in Venice in the Veneto region where this liqueur is made! Stir brandy, Luxardo Cherry Sangue Morlacco, and chocolate bitters on ice until extremely cold. 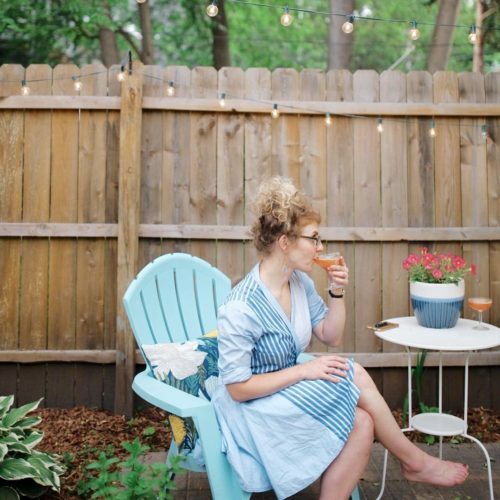 Strain into a coupe glass and top with Italian prosecco. Garnish with an edible flower and a toasted walnut.